Wondering what sausages you should go for? Well, Frankfurt sausages will not only leave you with a thrilling craving but will also serve as the best sausages ever to taste! We might as well call them ‘Frankfurter’ as the Germans call them. Frankfurt sausages are long, thin sausages that are very flavorful, spiced and smoked with beech wood. They are made from 87% prime pork meat. For extra crunch, Frankfurt sausages are filled into natural pork sheathing. Traditionally, Frankfurt sausages are best served with horseradish, yellow mustard and sometimes with potato salad and bread. Surprisingly, and an added advantage of the Frankfurt sausages, they are not refrigerated and always taste fresh, meaty, wholesome and extremely delicious. This is because they are packed in vacuum glasses that contains brine. Zum Gemalten Haus is a must pub and restaurant, rooted in tradition and is located in the heart of Frankfurt’s Saxon quarter. Here, you will get to enjoy the best Frankfurt sausages in an awesome cosy environment. For any visitor who is interested in understanding the key of Frankfurt cuisine, this is the best place to visit. You get to enjoy the Green sauce, ribs with herb or Handkaes. Centro Cultural Gallego is the closest thing to real Spanish food and their Frankfurt sausages are the best. They are well prepared and their food is of good quality. It is very stylish and well decorated. Their service is of high standards and their price ranges are like of a casual restaurant. Their menu is rather diverse and you get to choose from a variety of dishes. Their environment is very friendly, cozy and one the best place to enjoy your Frankfurt sausages. Meyer Feinkost Frankfurt is prepared with loving care. Their traditional meat products are not only appetising, but also clean and fresh. 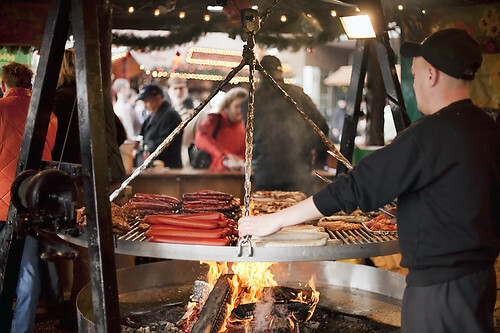 Its ability in maintaining traditions makes it the best place to enjoy your Frankfurt sausages served and prepared in the best traditional way. They offer a wide range of products such as a variety of wines and champagne that are homemade. Additionally, Meyer offers an exceptional shopping exposure. Meyer have got a unique blending style, creativity and a down to earth mentality. 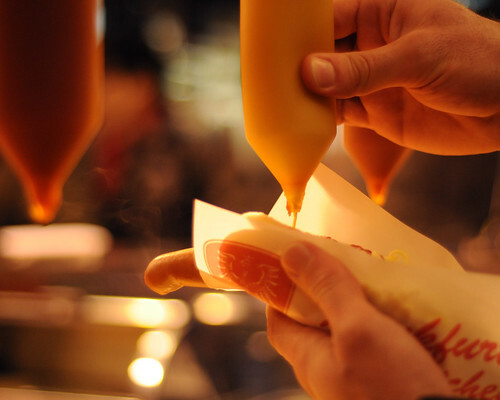 Their sausage specialists are trained in line with their own quality standards and will ensure you get to enjoy your Frankfurt sausages down to memory. Kleinmarkthalle is a wondrous world and a true market atmosphere that will definitely attack your vision senses. Why wander anywhere else for a sausage? 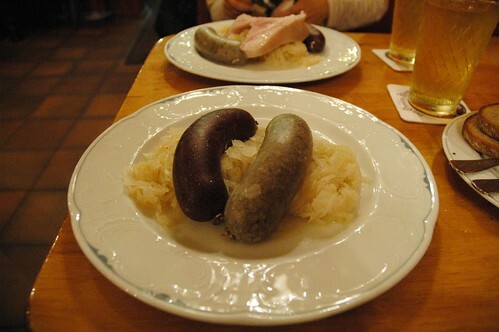 You will surely eat the best Frankfurt sausage in this market. 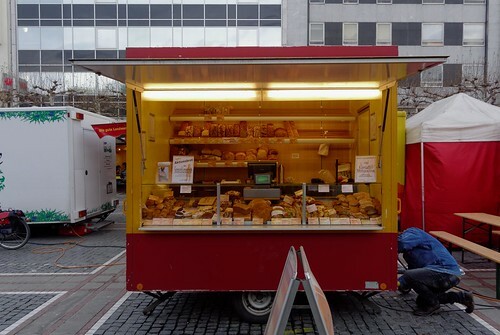 It offers a real pleasure of a market atmosphere and a wonderful selection of food while their stalls are nicely old fashioned with colourful stalls and most of their samples are free. Their products are fresh and their sausages are ultimately the best. Erzeugermarkt Konstablerwache is a must go market. It is a huge farmers market and no one misses out on this. It is a very huge social occasion where people enjoy wine and sausages. Expect some of the sweetest sausages that are worth piece of your wallet. You can not miss a bite on this. It is a place worth a review as their food are affordable and sausages of highest quality.